It was shortly after 9am that I left to find the cafe at which Ali would meet the new passengers for the week’s trip with Mediterranean Delights Fitness Voyage. Directions were somewhat lacking. I knew the name of the place – the Yacht Club Café – and that it was somewhere by the harbour. Now, Rhodes marina is open all year round and currently features 382 boat berths so it isn’t a small harbour by any means. The fact that the 30 minute drive from the airport to the hotel the previous evening was made in complete darkness together with my abysmal sense of direction and you can probably understand why I chose to leave two hours before our scheduled meeting time of 11am. 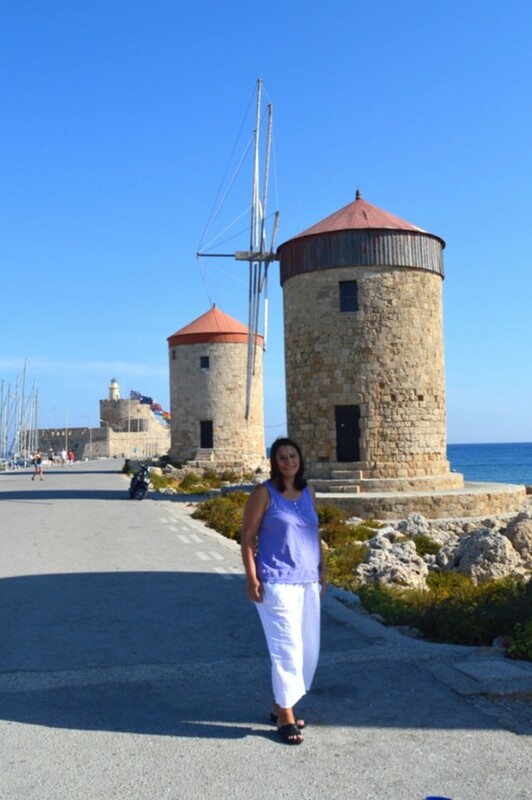 I wanted to visit the old windmills of Rhodes before our group gathered. 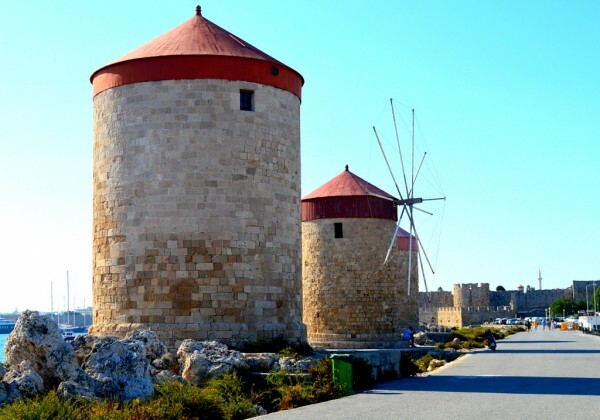 The itinerary for the day had been emailed to the passengers the previous week and I knew that a visit of Rhodes Town was planned, but I had no idea whether a walk to the medieval windmills would feature at all. I aimed for the general direction of the marina and wasn’t walking for long before I saw the three majestic windmills lined up along the long wave breaker completed by the so-called remains of the Colossus of Rhodes, one of the ancient seven wonders of the world. Once upon a time the windmills would grind the grain brought to the island by the merchant ships which anchored at the port. As I headed over to where they stood I saw the Yacht Club Café – our meeting place – sitting at the corner of the main road (Pl. Eleftherias), and the road running alongside the windmills themselves (Pl. Neoriou). 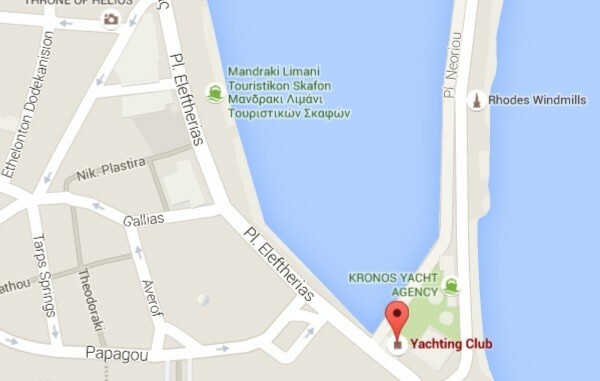 The Yacht Club Cafe is pin-pointed. Just head for the windmills! I walked to the end of the wave breaker taking in the view across the sea as I went. I would rest my luggage down every now and then in order to take a photo, searching for that ideal angle which would provide that perfect shot. As I attempted to gather my belongings once more, all too aware that I would set them down in mere minutes when something else would catch my eye, an elderly gentleman walked by and waved over to me. ‘Kalimera!’ he called over with a smile. 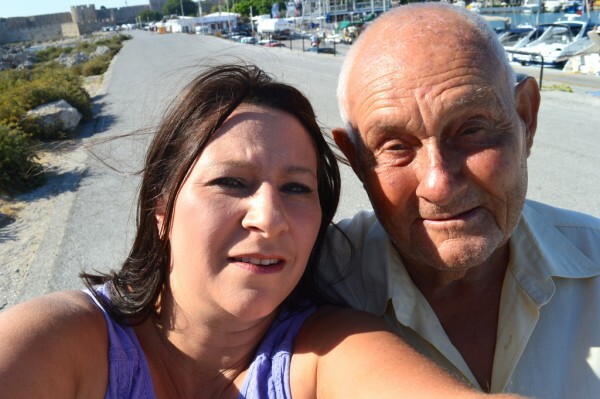 We then tried taking a couple of selfies which isn’t too easy with a DSLR. Not only do you have the extra bulk but you can’t see what the blazes you are trying to do. As a rule I cannot stand selfies. I hate taking them and I really don’t like seeing them either. Unless you have a picturesque background behind you, I really don’t care much for your pouting and posing, thank you very much. Not at all flattering. No, not at all. But at least I have a keepsake of the stranger who stopped and chatted to me as if I were an old friend he hadn’t seen in years. We chatted a while longer and he kissed me on both cheeks as we said our goodbyes, with me promising him that I would bring my family to visit soon. My trip already had a highlight I’d look fondly back upon and, realising that my conversational Greek hadn’t declined as much as I thought it might have after several years without use, I promised myself that I would make the effort with the locals wherever I went. Having said our goodbyes, I continued to walk back down along the wave breaker and settled at the Yacht Club Cafe with a refreshing glass of water while I waited for our 11am meeting time. As time went on I noticed other people gradually filling up the outside dining area. As they were towing their luggage behind them I deduced that they would probably be my fellow passengers for the week. By the time Ali came along and introduced himself to us there was quite a group. It quickly became clear that the majority already knew each other. The four other people to make up the group were the fitness instructor and his wife who also came from the US as did the majority of the group – and two friends from Germany – one of whom would also be writing about the trip – making up the numbers. I then realised that I would be the only solo traveller and the only one from England. The latter was no concern at all but the former immediately did. To travel solo alongside a large, ready-established group of friends within such an intimately close environment as the gulet would be could possibly prove to be a challenge. We gathered up our belongings and followed Ali to the marina where the Muhteşem A gulet was waiting for us. This would be our home on the water for the following week and, true to its Turkish name, it really was something splendid. (You might want to get pinning on these photos. Feel free!). Our luggage was brought aboard by the crew but there was no time to stop and explore the boat just yet, we had a tour to be getting along with first. I’ll be writing about the places we visited separately so instead I will introduce this beautiful boat to you. 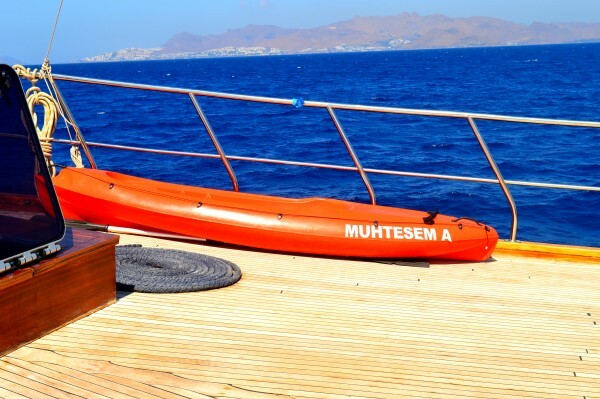 The Muhteşem A is a two-year-old gulet which has been purposely designed for chartering in the Mediterranean waters. 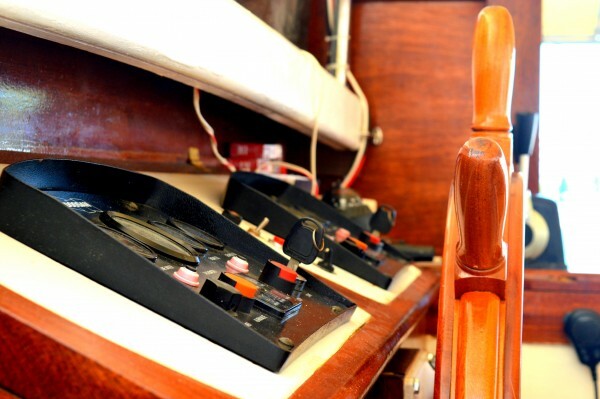 Whilst the exterior of the boat is impressive in itself, the tardis-like interior is just as superb. Stretching out over 30 metres in length, the gulet accommodates up to 16 passengers within six double and two twin cabins. Each guest received their own towel, not only as a welcome gift that you could take back home with you as a memory of the trip, but also in order to protect the boat’s furnishings from the sun lotions and sea water that your skin would most certainly be in contact with. A water resistant bag, a refillable water bottle and a personalised notepad were also provided, all welcomingly set out upon the bed to greet us. 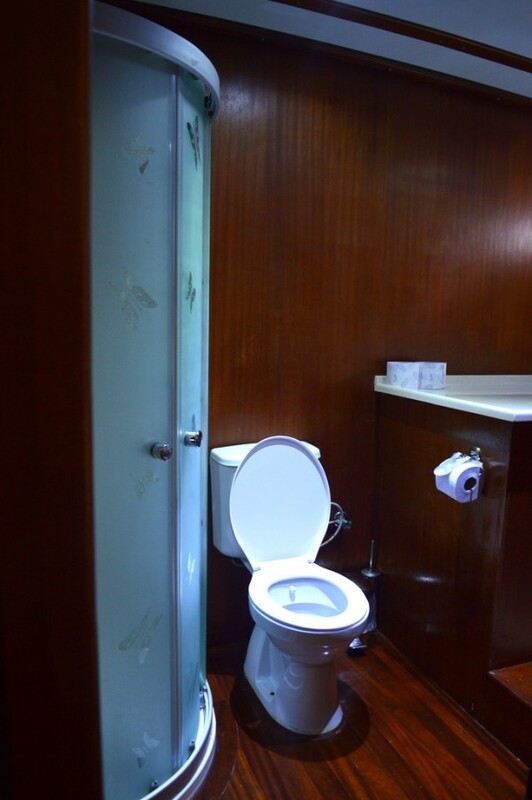 Each cabin had its own en-suite bathroom comprising a generously sized shower cubicle, toilet and sink. The bathrooms were larger than my own at home! The bathroom was larger than either of ours at home. 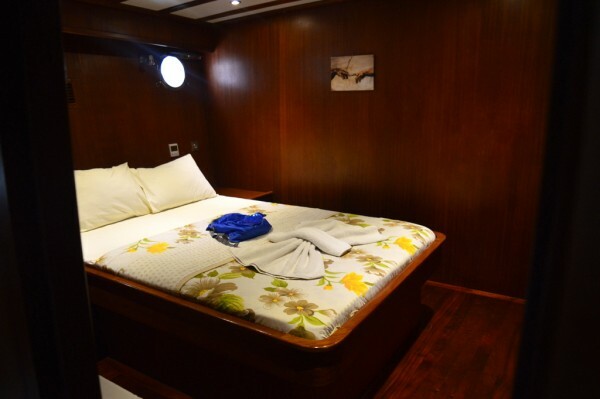 The gulet doesn’t claim to offer luxury accommodation but I would argue that what it does provide is clean, comfortable accommodation set to an extremely high standard. Everything, and I do mean everything, was absolutely spotless. 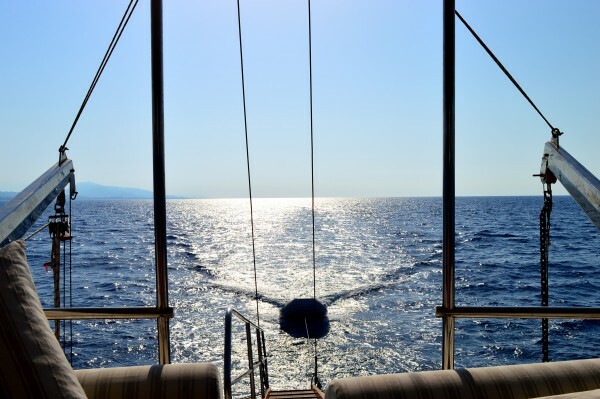 As the week went on it was easy to see why; the crew maintained the boat to exceptionally high standards, not just occasionally but throughout the day, every day. Decks were watered down to season the boards, rails were polished up to a shining gleam and everything was cleaned and washed to perfection. 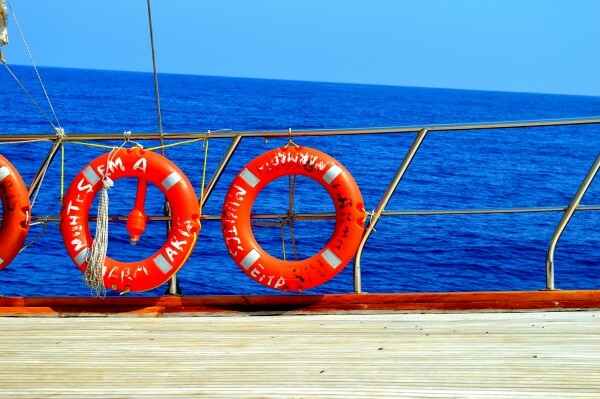 I spent many hours as we sailed using this as a lookout point for dolphins. 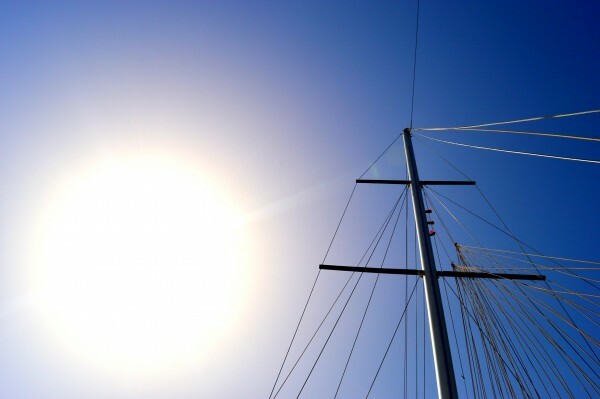 And when I didn’t use it to look out over the beautiful blue sea, I looked up at the beautiful blue skies instead – sun permitting, of course! 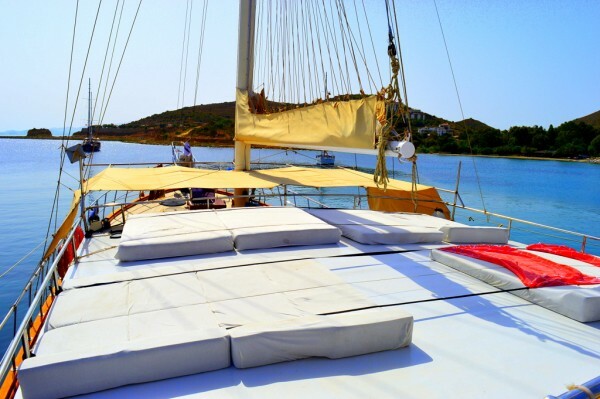 The Muhteşem A gulet has two large dining tables, sturdy and heavy enough to withstand any rocking the boat may have to endure on the waters. 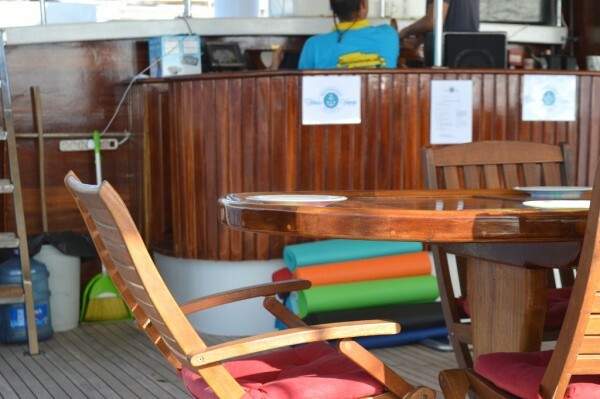 The one on the aft of the boat (the rear), was the one at which we dined. It also became my office at times. Not a bad place to work, I admit. Accustomed to rising early, I would normally be one of the first up in the mornings. 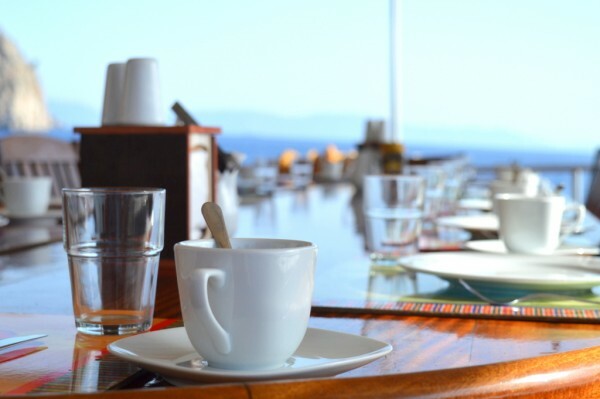 Breakfast was often not due to be served for two or three hours but it wouldn’t take long at all before one of the crew would bring me a steaming cup of coffee soon after I emerged from my cabin. I am not a bad cook, I admit, but the food on this voyage is inarguably superb. 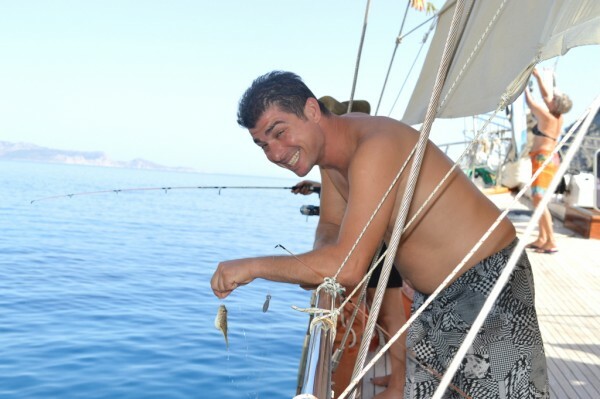 Aytekin is not only an experienced captain and all-round nice guy but a fantastically talented 5-star chef. Oh yes, the food was to die for. Every single meal was nothing short of amazing. No, it’s not your average ‘health food’. 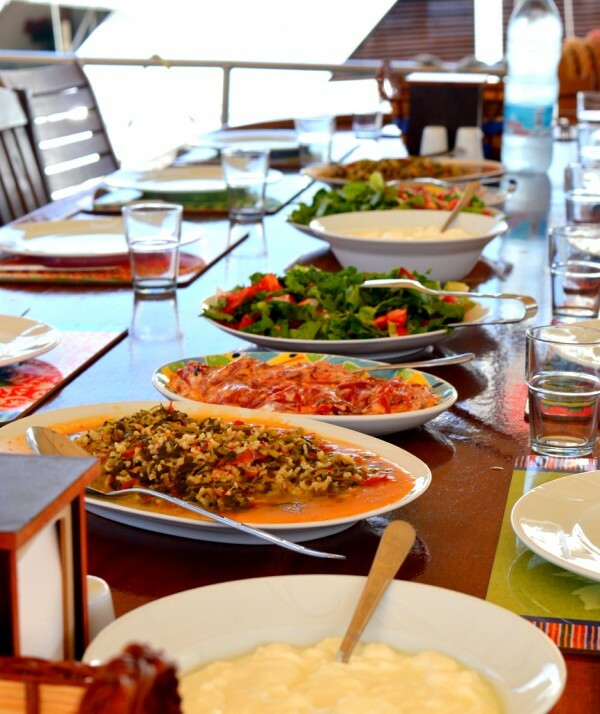 It’s a fitness voyage (if you want it to be), but the food is based strictly on the mediterranean philosophy of feeding people well. Which means there’s lots of it. 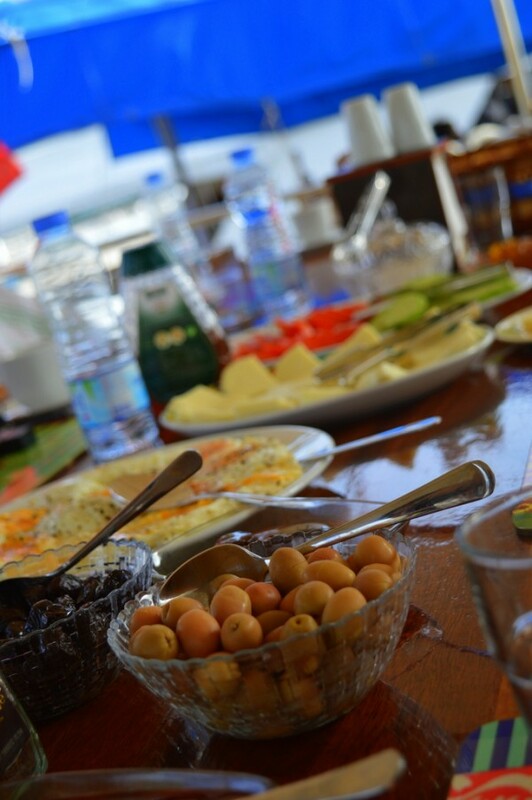 In fact, every meal was a delicious feast in itself. I was a little worried about the fitness side of things. Whilst I loved the thought of swimming in turquoise seas and exploring ancient ruins for miles, I wasn’t quite sure about participating in the scheduled daily fitness sessions. As it turned out, the fitness was not compulsory at all which suited me just fine. MDFV work on the principle that this is your holiday, no matter what. 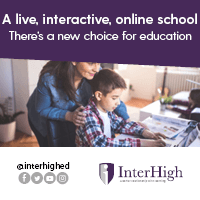 You were free to join in with any sessions you chose to and no pressure at all was given if you opted out. Judging by the comments from those who did join in, Steve, our trainer for the week, seemed to be a pretty good coach. I was happy to take their word for it. Refraining from participating in fitness sessions was not at all frowned upon. You didn’t have to give a reason; you either did or you didn’t. The choice was completely yours. 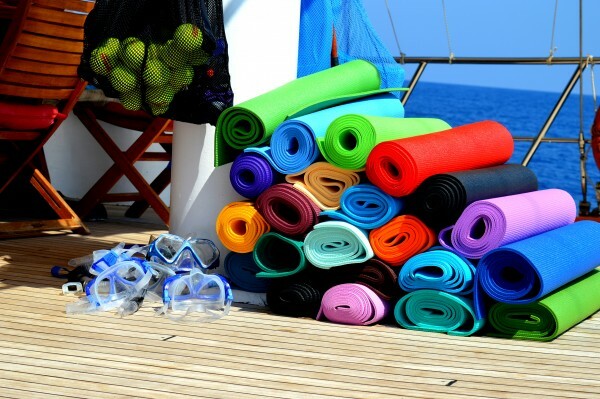 Exercise mats. Or sleep mats. Whatever. 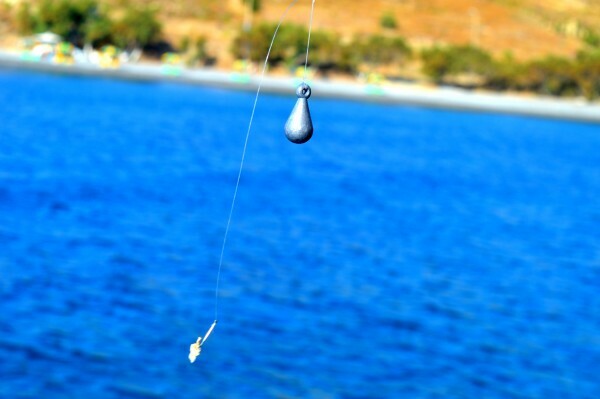 …or if you fancied something a little more relaxing, you could always try to catch your own dinner with a spot of fishing. …or you could do a spot of fishing if you didn’t. For anyone who wants to know more about the mechanics of the boat I can tell you that it is powered by a 450hp diesel engine and two 33kva generators. If that doesn’t mean anything to you, you might better prefer to know that there is air conditioning in the cabins. 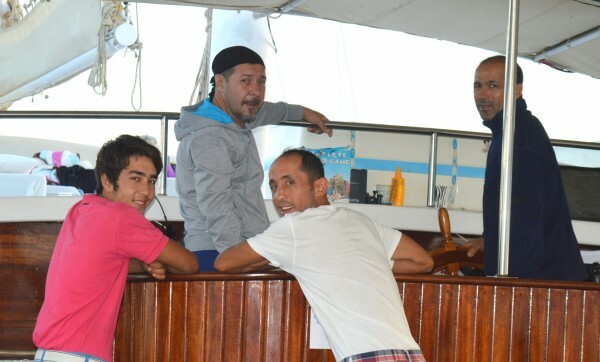 Here is the marvellous crew that looked after us for the week – from left to right: Burak, Şenol, Taner and Aytekin. Kind, respectful, knowledgeable, fun and diligent, I would return if only to see them again. What a great bunch! …and the same could be said of these guys – our splendid crew. And then there is Ali, the director of operations, experienced tour guide and one half of the original MDF Voyage dream. 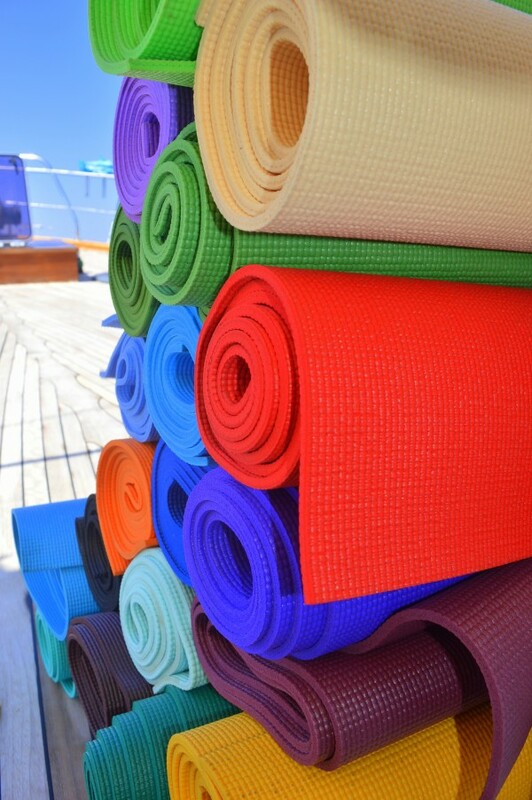 He and Cynthia decided to set up the business based on a shared love of travel and fitness. Well, maybe just the travel, as far as Ali is concerned! Oh, and we can’t forget Ali. Would could ever forget Ali, after all? As well as the extremely high standards of cleanliness, the exceptional level of comfort and the positively phenomenal food, was the need to observe everyone’s well-being. Not only were there the requisite life preservers but the crew were constantly vigilant with regards to everybody’s safety, even staying awake to keep watch on one particularly blustery night. The 60hp dinghy might not seem much but it proved a vital piece of equipment – not only important for anchoring the boat to shore and possibly for use in a sea-faring emergency – but also for taking precarious trips over to pretty islands as I would find out later on during my stay! And whatever you do, don’t forget the dinghy! 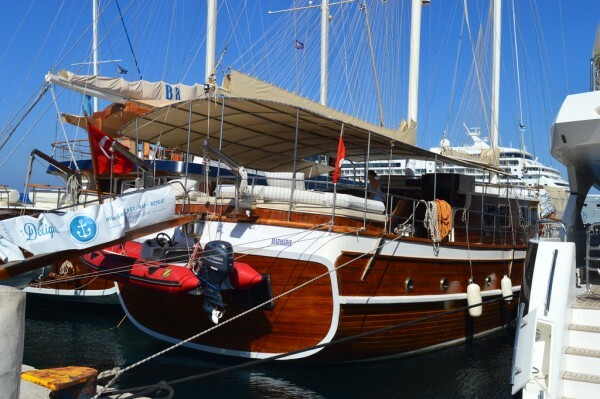 The Turkish translation of Muhteşem is ‘magnificent’ and a name I certainly think works well for this gulet. 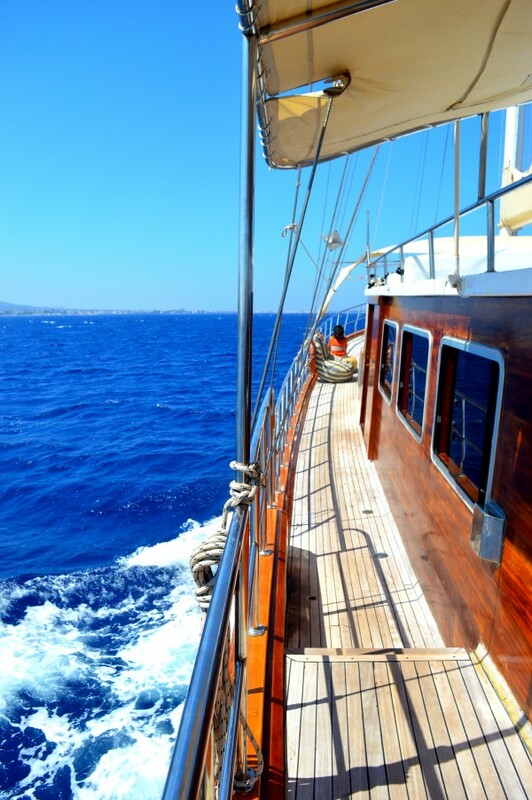 A week on board sailing around Greek islands with MDF Voyage? I think I can manage, don’t you? *I was invited to travel with MDF Voyage in order to write about my experience. All opinions within these reviews are my own and readers are advised to do their own research. I am a solo traveller too, AND fond of boats, so this was a post to my heart. Will contact MDF Voyage, see what they hve to offer.. Visit my blog http://www.glamourgrannytravels.com if you like. Plenty of <greece and Turkey in it. I am sure you would love it! I am popping by to take a look at your blog now. Thanks for stopping by! Just emailing MDF. Thanks for visiting my blog too. I’ll sure be back for new adventures at yours. Likewise, Inka. Do let me know if you do book a trip with MDFV! That sounds absolutely amazing! Mike keeps mentioning buying a boat and learning to sail but I’m not too sure – perhaps when the kids are older. It seems an awful lot of hard work though, but a great experience too! I’ll be sure to visit your blog and follow your travels. I could not agree more with Mike! It is a hard work, but a sense of freedom you are getting is just incredible 🙂 You do need to try sailing under the eyes of an instructor to know if you can do this longer! This year will be our test, as spending two weeks learning how to sail and living on a boat all this time will show us if we can completely change the way we live. I do hope we can!